Жизнь - это игра, в которую играют абсолютно все. Она сложна, и вот вам руководство по ее успешному прохождению. 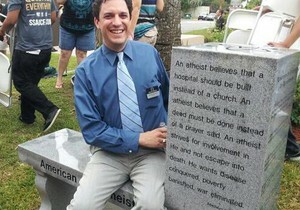 An atheist believes that a hospital should be built instead of a church. An atheist believes that a deed must be done instead of a prayer said. An atheist strives for involvement in life and not escape into death. He wants disease conquered, poverty banished, war eliminated.